CEO Sleepout is challenging bosses from companies across London to show their generosity and take part in this year’s event. On Monday 29th October 2018, business leaders will be literally ‘sleeping out’ at the iconic Lord’s Cricket Ground in a bid to raise money for charities helping in the fight against homelessness and poverty including Street Child United, Borderline and The House of St Barnabas. Almost £600,000 has been raised by the capital’s business leaders since the inaugural event and hopes are high that London will top the whopping £119,500 fundraising figure achieved by Newcastle’s executives at St James’ Park earlier this year. Among those taking part in the city’s effort is Prince Islam El-Sawy, who was recently featured in “The Muslim 100 Parliamentary Review Power List, a publication which honours significant individuals from within the British Muslim community. As he gears up to spend a night outside, El Sawy hopes the CEO Sleepout will shine a light on the generosity and will of the business community to make a difference. El-Sawy who is currently preparing for his Quarter Century in organising and serving the British pilgrims embarking on the annual Hajj pilgrimage to Makkah, can relate and understand on how it feels to be stripped to the bare necessities. Bianca Robinson from CEO Sleepout UK said: “CEO Sleepout UK is delighted to be working with MCC and the London business community again following last year’s successful event. By engaging business leaders and execs, we aim to raise funds to help fight poverty and homelessness in London”. Guy Lavender, Chief Executive & Secretary of MCC said: “This is a great opportunity to raise people’s awareness of homelessness in London and by partnering up with CEO Sleepout UK again we believe we can better the 2016 & 2017 events and help to raise significant funds for charities that support those in need day in and day out”. Since its participation in CEO Sleepout London 2017, Borderline has expanded, appointing one additional outreach worker which allows the charity to provide services for another 50 homeless Scots in London. 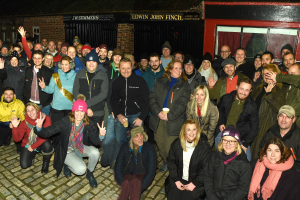 Founded four years ago by Chairman, Andy Preston, CEO Sleepout events have been held at venues across the country including Wembley Stadium, St James’ Park Newcastle, Old Trafford cricket ground, Alnwick Gardens and The Oval. 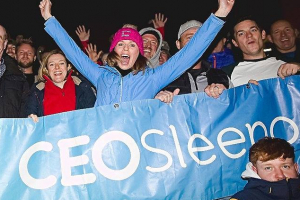 Andy Preston who will be joining the sleepers, said: “I am very humbled to see so many business leaders take part in out CEO Sleepout events across the country and I am sure that London will not disappoint.